The deadline for filing most Outer Island claims in court in Hawaii is generally the same as the deadlines for filing the same claims in Honolulu. (See the page for the particular type of claim involved by clicking on one of the drop down menus on the graphic "What We Do" or "Practice Areas" in the graphics menu bar above.) Once again, it should be specifically noted that claims against the various Counties should generally be filed with the appropriate agency within six (6) months of the date of the accident. Over the years Accident Lawyer Hawaii William H. Lawson and Personal Injury Attorney Honolulu Amy L. Woodward have vigorously and competently represented clients for matters on all islands in the State of Hawaii while maintaining a high degree of contact and communication with our clients by phone, by email and by regular mail. In order to maintain prompt contact- every effort is made to respond to communications the day that they occur. For our Outer Island clients with Maui, Kauai, Hawaii and Outer Island claims- we have frequently advanced the costs of travel for depositions and client conferences here in Honolulu. Frequently, an attorney will also visit you on your home island to travel with you to the accident scene and/or to see and record the impact of the injuries on your life. Should the matter proceed to trial, our office has successfully handled personal injury arbitrations and trials for Maui, Kauai, Hawaii and other Outer Island claims. If we need to go to trial on an outer island, Hawaii Accident Lawyers William H. Lawson and Amy L. Woodward have done so and are prepared to do so again. Alternatively, should it be necessary, Accident Lawyer Hawaii has also co-counseled with attorneys on Maui, Kauai, Hawaii and other Outer Islands and is prepared to do so again in an appropriate situation. In short, our law firm is experienced at handling personal injury and accident claims for people located on Maui, Kauai, Hawaii and the other Outer Islands. 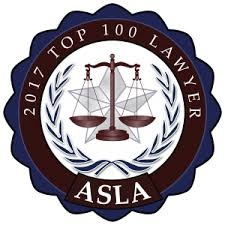 It poses no significant challenges- and has several offsetting benefits- for the attorney to be usually be located in Honolulu. As mentioned on our "About Us" pages, our office has represented clients from almost all of the different States of the United States as well as many people from other countries. Please consider letting our office assist you on your Maui, Kauai, Hawaii or other Outer Island case.